Children are invited to come and join us for a week of fun and games with the Salvation Army holiday club! Jam packed with games, crafts, music, video presentations and Bible stories, there will be an action packed programme of events for everyone throughout the week as the children learn about Daniel! Held at The Salvation Army Centre on Bourges Boulevard, Peterborough every morning from Monday 3rd August 'til Friday 7th August from 10.30am to12.30pm, Space Academy is open to all primary school aged children from 5 – 11 years old and is being organised by The Salvation Army children's team along with some of the H.U.B team. It will be fast-moving and lots of fun with games, quizzes, music and so much more. The cost of the sessions will be just £1.50 per day or £5 for the week if paid upfront at the start of the week and this will cover craft, refreshments and all the other activities during the week. 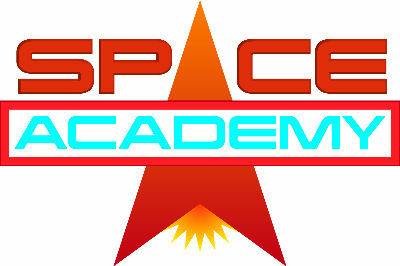 If you would like your child to join us for Space Academy please contact Rachel and SJ click here to reserve a place and download a registration form and consent forms. You will need one form per child so remember to indicate how many forms you require. Please ensure that both forms are filled in completely as the information is very important. To secure a place (or places!) please return your form(s) to us at The Salvation Army, 1203 Bourges Boulevard, Peterborough, PE1 2AU as soon as possible and book by 27th July to avoid disappointment. Although we are able to offer plenty of places, space is strictly limited, and places will be allocated on a first-come, first-served basis.